Classter is very flexible & modern multipurpose WordPress theme has 10 beautiful home page layouts. Featured with infinite customization possibilities and stylistically flexible and has quickly transformable layout. Classter has fully responsive layout optimized for all mobile device displays, used with responsive sliders and all sections supports awesome swipe effects. 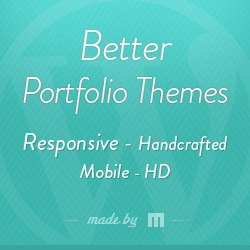 Built with 6 gorgeous headers types, but unfortunately none of the header styles does not supports sticky navigation. Featured with interactive ajax search mechanism and available with 13 beautiful blog layouts enabled with embedded counters for comments and likes. Classter modern multipurpose WordPress theme bundled with Visual composer ($28), Slider revolution ($18), PO composer ($18) premium WordPress plugins, available with 19 variants of 4 portfolio styles, 2 styles of portfolio post types and theme supports infinite scrolling. 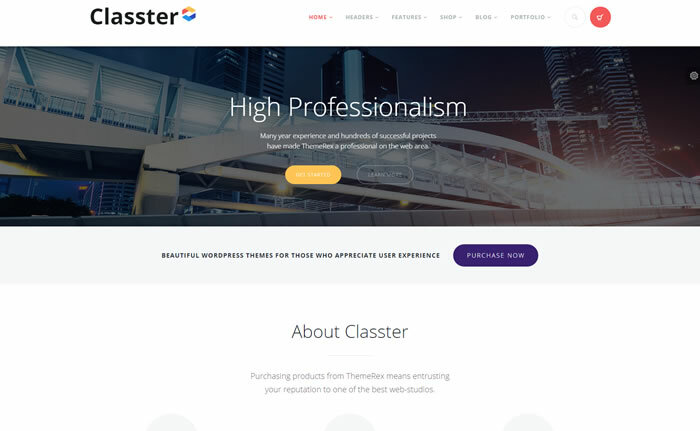 Classter is powered by ThemeRex framework, WPML optimized (translation ready) modern multipurpose WordPress theme and enabled to supports 1 click demo content installer. Classter modern multipurpose WordPress theme has TRX emailer, its unique function allows you to create and edit mailing lists, for ex. notification of your partners / clients of latest changes on your website. Its search engine friendly WordPress theme compatible with most popular SEO WordPress plugins such as ‘All in One SEO Pack’ and ‘SEO by Yoast’ free WordPress plugins. Classter is WooCommerce ready, HTML5 and CSS3 valid WordPress theme integrated with 11 powerful custom widgets, 7 unique ThemeRex shortcodes and classter theme built for review / rating websites.